My practice is primarily in litigation, both civil and criminal. I have trial experience in personal injury cases, worker’s compensation claims and cases, family law and estate cases and trials, criminal cases of all types, both state and federal, and general business litigation. I am also very knowledgeable in oil and gas law, leasing and litigation. 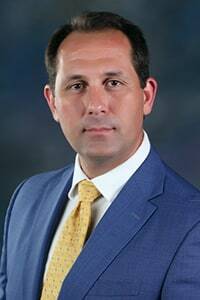 John is active in the Mississippi State Bar Association, the Louisiana State Bar Association, the Alabama State Bar Association, and the Mississippi Association for Justice. In his spare time, John enjoys fishing, woodworking, outdoor activites, and spending time with his family. He is also active in the St. Alphonsus Catholic Church in McComb and the Knights of Columbus.